Price Gun Ink Rollers There are 27 products. This listing is for a pack of 5 Avery MK11 ink rollers. They are brand new and includes next working day delivery, 1st class via Royal Mail and a VAT invoice will be enclosed with your order. If you would like to know any more information about this product please contact us. 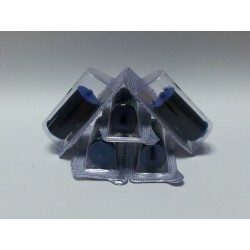 This listing is for a pack of 5 Avery Prix ink rollers. They are brand new and includes next working day delivery, 1st class via Royal Mail and a VAT invoice will be enclosed with your order. If you would like to know any more information about this product please contact us. 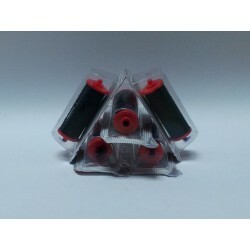 This listing is for a pack of 5 Contact ink rollers. They are brand new and includes next working day delivery, 1st class via Royal Mail and a VAT invoice will be enclosed with your order. If you would like to know any more information about this product please contact us. 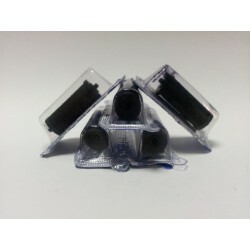 This listing is for a pack of 5 Danro 2612 ink rollers. They are brand new and includes next working day delivery, 1st class via Royal Mail and a VAT invoice will be enclosed with your order. If you would like to know any more information about this product please contact us. This listing is for a pack of 5 Danro 2612-N ink rollers. They are brand new and includes next working day delivery, 1st class via Royal Mail and a VAT invoice will be enclosed with your order. If you would like to know any more information about this product please contact us. 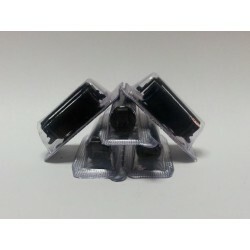 This listing is for a pack of 5 x E1 ink rollers. They are brand new and includes next working day delivery, 1st class via Royal Mail and a VAT invoice will be enclosed with your order. If you would like to know any more information about this product please contact us. 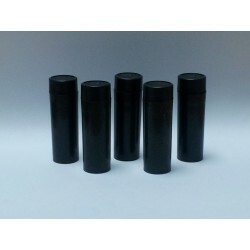 This listing is for a pack of 5 x E4 ink rollers. They are brand new and includes next working day delivery, 1st class via Royal Mail and a VAT invoice will be enclosed with your order. If you would like to know any more information about this product please contact us. 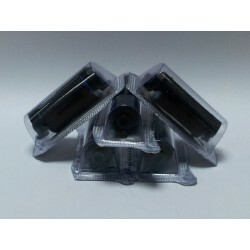 This listing is for a pack of 5 x Evo ink rollers. They are brand new and includes next working day delivery, 1st class via Royal Mail and a VAT invoice will be enclosed with your order. If you would like to know any more information about this product please contact us. 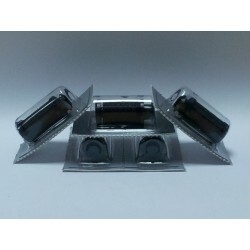 This listing is for a pack of 5 Halo 1Y ink rollers. They are brand new and includes next working day delivery, 1st class via Royal Mail and a VAT invoice will be enclosed with your order. If you would like to know any more information about this product please contact us. 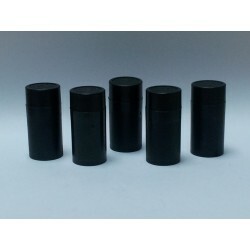 This listing is for a pack of 5 Jolly ink rollers. They are brand new and includes free next working day delivery, 1st class via Royal Mail and a VAT invoice will be enclosed with your order. If you would like to know any more information about this product please contact us. This listing is for a pack of 5 Klik ink rollers. They are brand new and includes free next working day delivery, 1st class via Royal Mail and a VAT invoice will be enclosed with your order. If you would like to know any more information about this product please contact us.